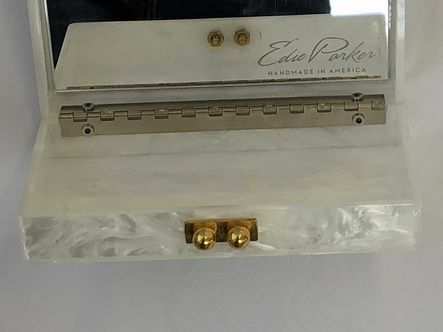 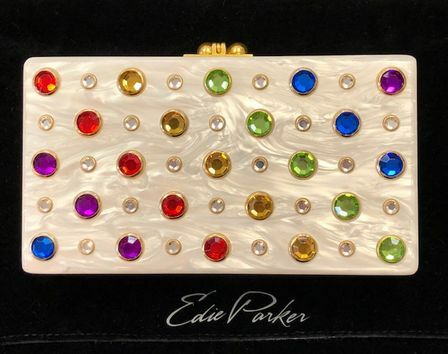 Edie Parker Jean Rainbox Jewel Box clutch. 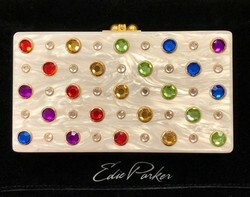 Pearlized white with rainbow color jewels on front. 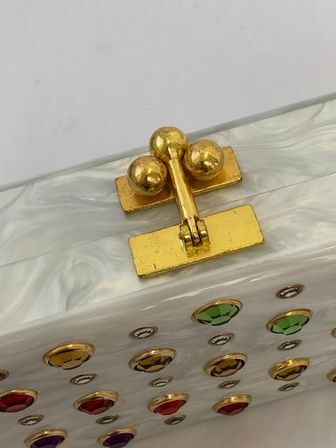 Gold latch closure. 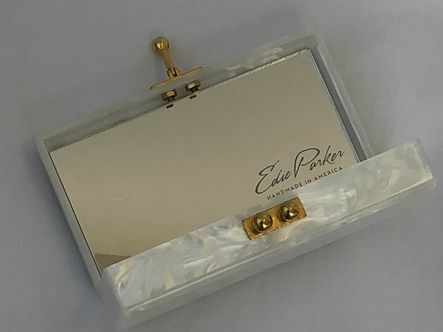 Has mirror inside. 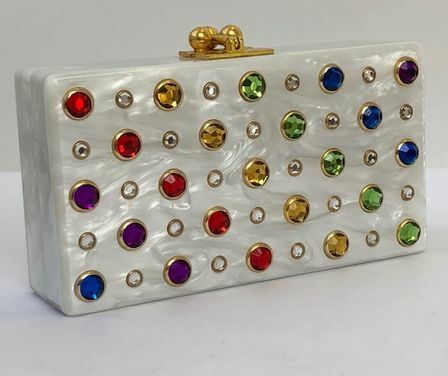 Retail price $1,195. 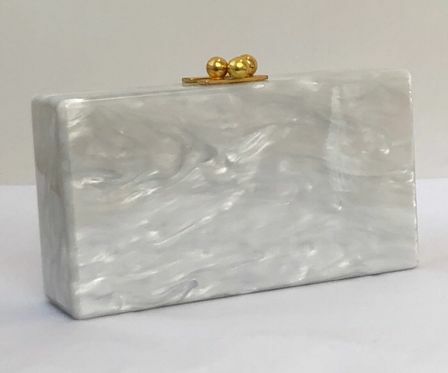 6.5" x 3.5" x 1.75"